I don’t know why I was so shocked and disappointed recently when looking for a location to hold a SoulCollage® group and I came upon an organization’s Executive Director who was less than thrilled at my proposal. I was articulate and professional in my email, sharing my passion and my desire to start groups, to build community with targeted people (caretakers of special needs children and adults in this case). Hey, if I’m this passionate about SoulCollage® then people should respond to me in positive ways, right? I came out of western evangelical Christianity, so I should have known. But I just didn’t remember that some people, particularly people with a tightly held religious ideology, could be uncomfortable and even fearful about SoulCollage®. I understand and respect that SoulCollage® isn’t for everyone. But in defense of my own integrity, I need to share this with intention of bringing clarity to the issues. So here’s what happened: In my excitement I naively provided the link to the SoulCollage® website to the ED (a non-profit, non-church org) for further investigation, as I focused my introduction email on providing a very brief overview of SoulCollage®, and spent more words sharing my goals and qualifications. I thought I was being professional and helpful in suggesting the ED could explore the site if more information was needed. If you’ve ever ventured on to the SoulCollage® website then you might recall that in the upper right hand corner there is a link that offers you a “personal card reading.” I’m not sure why that is there, because honestly, if someone is stumbling onto the front page, or they have a link and are curious about SoulCollage®, they likely aren’t going to understand how to do a reading. And veteran SoulCollagers® who know how to do readings likely have their own cards to draw from, or are in a group and can draw from their group members. But anyway, unfortunately, in a reply email it became evident to me that the notion of “card reading” created the discomfort: “I notice that your classes involve card reading. I think that some of the techniques you would be using would likely conflict with the values and belief systems of our primary partners in the space.” I hadn’t mentioned anything about this aspect of SoulCollage®, so I can only assume the ED visited the SoulCollage® site and came across the link for the personal card reading. I don’t know how much this ED investigated beyond that, but I can safely assume probably not much. I think it was a knee-jerk judgment, but negative first impressions are powerful and hard to negotiate, aren’t they? Anyway, the meeting I was offered never materialized because there was no further response from the ED after I suggested a specific day/time from the available options I was given. My guess is my lengthy response outlining what SoulCollage® really is prompted further investigation on the SoulCollage® website, which turned up words like “oracle”, and “inner wisdom”, and “Soul Essence”, and these are words that apparently hold people in fear enough that they’re not willing to collaborate on efforts towards community and individual healing. Although I am new to the facilitator aspects of SoulCollage®, I am certain my experience is not new. I am sure many others before me have been met with the same resistance, fear, and maybe even hostility. So my intentions here are not to drag anyone through the mud, but to clarify what a SoulCollage® card really is, and what a reading may look like. But first let me give you a little background. Seena studied theology and holds a Master’s of Divinity from Yale Divinity. She went on to earn an M.A. in psychology, as working with people in a more inclusive way has been her life’s calling. But she clearly comes from a background of faith. It’s no surprise then, as Seena admits herself, that Carl Jung, and more broadly, depth psychology influenced her development of the SoulCollage® process. Depth psychology is one of the only psychological paradigms that intentionally includes concepts of Soul in it’s framework. In trying to understand human nature in a precise way Jung followed in the path of Socrates, who infamously said, “The unexamined life is not worth living.” Indeed. (If you have any further interest in this, I highly recommend this excellent videotaped symposium on The Red Book). Although Seena admits to being influenced by many sources, and not just Jung, Jung’s experience with his own unconscious and the expression through imagery resonates deeply with my own experience of the SoulCollage® process. This is a card I made last year, which I titled, Preverbal Universe. Aesthetically, it’s not my favorite and I experienced some technical frustration creating it, as it didn’t entirely match my vision for what I was trying to express. 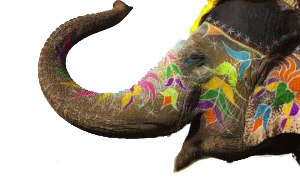 (I am much more intentional and Jungian in my approach to SoulCollage® than Seena suggests). In general, what this card represents for me is my own work with healing some very early childhood wounds- stuff that occurred before I understood verbal language, and which engrained itself into the deepest parts of my unconscious. I am one who is not of this world, who IS a divine soul, incarnating for a purpose. I am one who has been wounded. I am one who has been bound by the constraints of my conscious mind, who has been tied to concepts of healing which have limited effectiveness. I am one who is bravely digging for deeply buried treasures. I am one who is laboring, re-birthing myself anew. I am one who has a vulnerable, innocent side. I am one who has a child in heart. I am one who is loved, cared for, and protected. I am one who is safe, and doesn’t need to fear. Now, there are other types of readings, some with multiple cards, which invite a deeper insight, or encourage exploration of a particular issue or question the reader may have. Say, for example, I did a three card reading using my own cards, and I had a question: “Am I supposed to be a SoulCollage® facilitator?” If my Preverbal Universe is a card I drew in the three card spread, I wouldn’t read it with the same “I am the one who…” per se, because it embodies an energy in it’s whole. It speaks to me about wounding, but healing, about things I had no control over, and things I do, about transitioning, moving forward, redefining myself. So what might this particular card speak to me about my question? It might tell me that it’s all about process, evolution, dying and being reborn again and again, and so it doesn’t matter really, because right now I’m moving ahead in facilitating SoulCollage® groups, and it’s good. Maybe in the future I will need to let it go and rebirth something else, but for now, the process is good. Now, I have two others cards, each with their own energies, which will speak to me about my question and offer additional insight. I hope you can see how a SoulCollage® card reading does not offer new information, provide the answer from some esoteric source, or steer one away from their faith, but can actually remind her of it, and point her to it. This wouldn’t be the case with a tarot card, which has a more fixed archetypal meaning. So another difference is that tarot is often used as a means to indicate past or future energies/situations, whereas SoulCollage® is used more as an expression of NOW in terms of the reader’s unconscious processing. This is an archetypal scene that represents something we can all relate to. 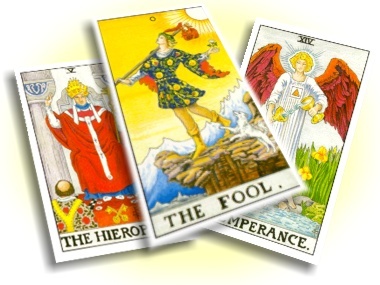 Six hundred years after the creation of the tarot cards, we can still understand what the fool is. Jung would call this understanding our collective unconscious. It transcends geography, religion, language, culture, time, gender. Every human being holds and archetype of the fool. So taken as individual cards tarot cards have something in common with SoulCollage® cards, as both represent archetypes projected from the individual and collective unconscious. But where they diverge is in the reading process and fixed nature. With tarot, as far as I understand it, in the spread of the cards there are specific positions that represent specific points in time (past, present, future), or specific constructs (outside influences, past influences, etc. ), and each tarot card represents a single archetype. So while both SoulCollage® and tarot readings can be similarly used to provide guidance and/or perspective, the rigidity of the tarot method (the singular meaning of the individual cards and the assigned value to each position the card falls in) makes it very different from SoulCollage®. 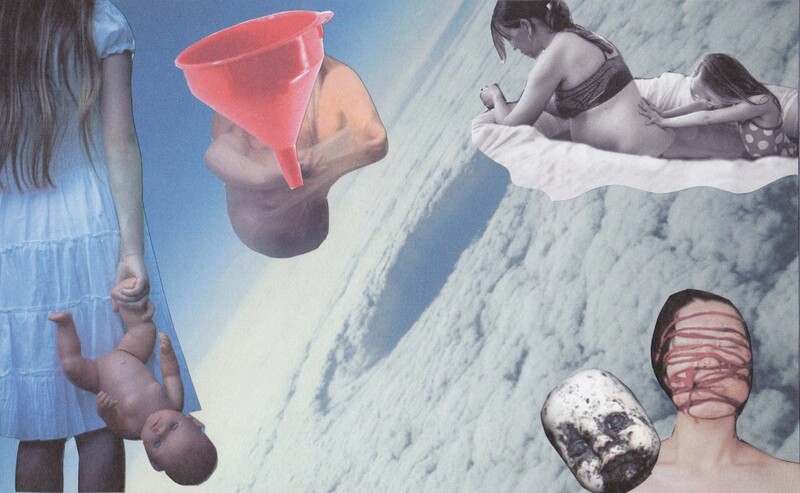 There is much more fluidity, creativity, and individual expression in SoulCollage®. Each SoulCollage® card is unique, and each reader assigns their own experience, insight, and wisdom to the card. Therefore each card contains a limitless possibility for interpretation of meaning. I understand that some people see tarot as a means of divination that somehow tests God or causes one to rely on the method instead of their faith, and they would likewise equate the SoulCollage® card reading process with a form of divination because some types of readings attempt to answer specific questions, which seems to lead the reader away from God (the Scriptures). But again, I believe this is a misunderstanding of SoulCollage®, as each card is uniquely created by an individual. If a person’s Christian faith is an important part of her life she’s likely to create many SoulCollage® cards which represent various aspects of this. One could say that the Bible itself is full of archetypal images, metaphors, and universal teachings. This is ripe for SoulCollaging®. A person making cards centered around these values would be drawing cards centered around these values, or reading these types of values in other’s cards. So there’s no way for the SoulCollage® process to be occultish, unless the collager herself assigns such a meaning to the cards. Take for example Sue’s card that was randomly provided from the reading. 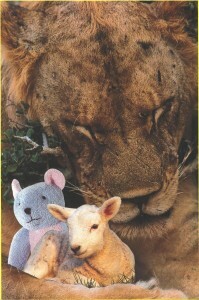 The lion and the lamb, her own reading of her card- all lend to a Biblical imagery and paradigm. So the discomfort some people have with SoulCollage® readings may come down to the idea of divination. Such a person may say, “All answers are in the Bible and it is all we need.” We have to be honest with ourselves and one another- we are living, breathing, experiencing human beings with a great depth to us. It’s legitimate to have emotions, as Jung so boldly embraced, and also to have questions. Not all of these questions can be answered through a single means. Perhaps a question for a reading might be, “I’ve been praying for months, reading the Bible, going to church. I still don’t feel peace. How can I find peace within myself?” Drawing on her own cards, the cards she has created which reflect her Biblical view, the reader may gain a more nuanced insight into this for herself. All that being said, I hope that I have provided enough insight into this discussion that it’s evident that SoulCollage® in it’s essence is a spiritual practice, but one which values the individual as uniquely created, yet within the oneness of all creation. It promotes the ethical considerations of spirituality, but does not discriminate on the basis of religion. It is ecumenical in its philosophy, holding perhaps a chaplaincy model of spirituality rather than an evangelical model. This is what I love the most about SoulCollage®- there is room at the table for everyone, no matter their personal beliefs, and all are honored through the SoulCollage® process. 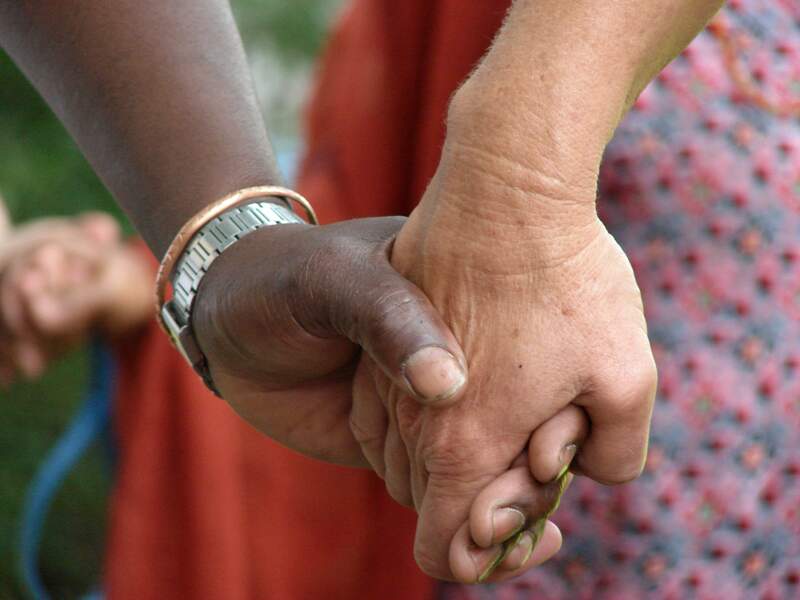 In this way, SoulCollage® serves more than the individual, but holds the potential to heal and unite communities. After all, wasn’t this the second greatest commandment of Christ: to love your neighbor as yourself?